CEDAR RAPIDS, Iowa — Historically, Presbyterians have contributed to white supremacy culture. But they’ve also done plenty of reparative work in recent years, three Presbyterian officials said during a Friday workshop at the White Privilege Conference. 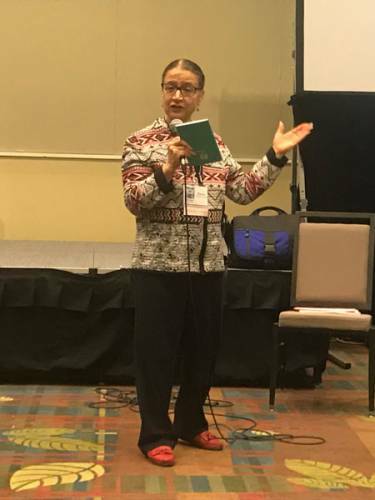 It fell to Anderson to briefly outline Presbyterians’ role in the formation of racial identity in the U.S. “It’ll be 250 years of ecclesial history in 20 minutes,” she told workshop attendees. “He was an incredibly prominent example of being pro-slavery,” she said of the issue that divided the nation and split Presbyterians north and south for more than a century. “We are still in the cultural transformation point in our work” to ensure equity and accountability in representation, Casteel said.